Aspen Daily News Online – January 2, 2016 – Your Letters Are Needed! Albuquerque Journal – December 28, 2015 – Your Letters are Needed! Coloring Page, Wolf Quiz, and More! Videos: Mexican Wolves in the Snow! Lobo Biography #12: AF903, A wolf with staying power. Salt Lake Tribune, 12/2/15. Letters needed. Tell US Fish and Wildlife Service: Plan for Lobo Recovery Now! Stop the government's stalling on Mexican wolf recovery. Action: Give wolves a voice at AZ Game and Fish Commission Meeting! 12/23/15 - Read the article and Take Action for Wolves! Great Letters to the Editor from Lobo Advocates! Letter writing gives Wolves a Voice! Please write Letters! Albuquerque Journal, 11/18/15. Letters Needed! Act today to keep wolves protected! Santa Fe New Mexican, 11/14/15. Letters Needed. In the News: Wolf advocates on the prowl for "packtivists"
Santa Fe New Mexican – Your Letters are Needed! Act Now: Stop US Fish and Wildlife Service from trapping Bluestem wolves! Call today to keep the Bluestem wolf family in the wild where they belong. Trapping is threatened as soon as 11/1/15! Albuquerque Journal, 10/16/15. Letters Needed! Can Wolves Bring Back Wilderness? Santa Fe New Mexican, 9/28/15 Letters Needed to Oppose Anti-wolf Actions! Guest Column: Another Santa Fe Fable - What big teeth you have! Join the Pack in Arizona! Santa Fe New Mexican – August 29, 2015 – Your Letters are Needed! Associated Press, 8/27/15. Letters Needed. Santa Fe New Mexican, 8/26/15. Letters Needed! Santa Fe New Mexican 8/26/15. Letters needed. Stand for Wolves at Rally in Santa Fe! Santa Fe New Mexican – August 15, 2015 - Your Letters are Needed! Great letters to the editor! Albuquerque Journal – August 15, 2015 – Your Letters are Needed! Arizona Daily Sun, 8/13/15. LETTERS NEEDED. Urgent! Please act to stop lobo extinction bill today! Albuquerque Journal 8/7/15 - SPEAK OUT FOR MEXICAN WOLVES! Albuquerque Journal, 8/3/15. LETTERS NEEDED. Tucson Weekly – July 23, 2015 - Your Letters are Needed! Las Cruces Sun-News, 7/15/15. Letters Needed! Grand Canyon News Williams, 7/14/2015. Letters needed! Great Letters to the Editor in the Albuquerque Journal! Great Pro-wolf Letter to the Editor in the Arizona Daily Sun! The Salt Lake Tribune – July 9, 2015 – YOUR LETTERS ARE NEEDED! Another Great Letter to the Editor! Pearce-Gosar bill seeks gray wolves’ extinction - 7/8/15. LETTERS NEEDED. Op-ed: What if there were no Mexican gray wolves in Arizona? Great letters to the editor in the Santa Fe New Mexican! Wolf supporters condemn Pearce-Gosar bill to remove Mexican wolf protections, 7/5/15. LETTERS NEEDED. Santa Fe Reporter, 7/3/15. Letters Needed! Associated Press, 6/27/15 LETTERS NEEDED TO STOP LOBO EXTINCTION BILL! Albuquerque Journal, 6/27/15. Letters to the editor needed! Arizona Republic, 6/26/15. LETTERS OPPOSING LOBO EXTINCTION BILL NEEDED! Save the Date:Tell Arizona Game and Fish to Stop Undermining Wolf Recovery! Tell NM Game Commission: Stop Taking Aim at Cougars, Bears and Endangered Wolves! AZ Republic, 6/8/15. Letters Needed! Albuquerque Journal, 6/1/15. Letters Needed! Tell Arizona Game and Fish to Stop Undermining Wolf Recovery! Santa Fe New Mexican – Letters are needed! Albuquerque Journal – Letters Needed! The Santa Fe New Mexican editorial board, May 18, 2015 Letters Needed! Albuquerque Journal Editorial Board, 5/12/2015. Letters Needed! In the News: Happy Birthday to the oldest Mexican Gray Wolf! Albuquerque Journal, 5/8/15. Letters Needed! In the News: Mexican gray wolf pair released in Ariz.
By Dianne Stallings / Ruidoso News, 5/4/15. Letters Needed! Capital Press, 4/30/15 Please Act to Stop Anti-wolf Legislation Today! Arizona Republic, 4/23/15. Letters Needed! Press Release: A Celebration of Our Environment! Join the Pack for #LoboWeek! Phoenix Mexican Wolf Packtivist Happy Hour Meeting March 27th! Salt Lake Tribune - Utah lawmakers direct the funds to an anti-wolf lobbyist, with no questions asked. Open to Kindergarten through Eighth Grade. Deadline is March 16! Op-Ed: Official: The endangered species' population has doubled in five years, thanks to the state's stewardship. Arizona Republic, Robert Mansell – Your Letters are Needed! The Copper Era – Your Letters are Needed! Sierra Vista Herald – Your Letters are Needed! Albuquerque Journal, 2/14/15. Letters needed! Arizona Daily Sun, 2/13/15. Letters Needed. Salt Lake Tribune, 2/11/15. Letters Needed! AZ bill will hinder wolf recovery! Arizona Capitol Times, February 2, 2015 - Letters needed! Join Albuquerque Packtivists to learn new skills on February 8, 2015! Will endangered species status help the Mexican gray wolf? Act Now: Mexican gray wolves receive long-overdue Endangered Species Act listing! In the News: Wolves get more area to roam in Ariz., N.M.
Associated Press, 1/12/15 – Letters Needed! AZ Republic Editorial Board, 1/12/15 – Letters Needed! Guest Opinion: Who has lived long enough to listen objectively to the howl of a wolf? 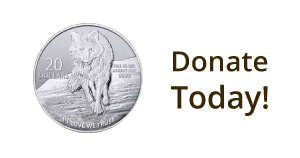 Mexican gray wolves are looking for a few good Packtivists! 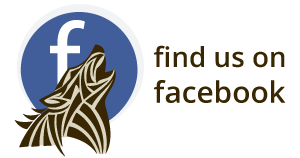 Join with others in your community committed to saving the lobo!